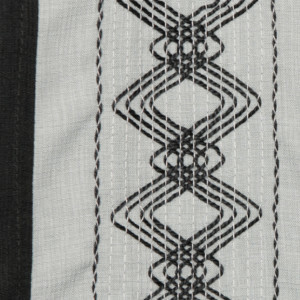 “Lucky 13” embroidery on front. 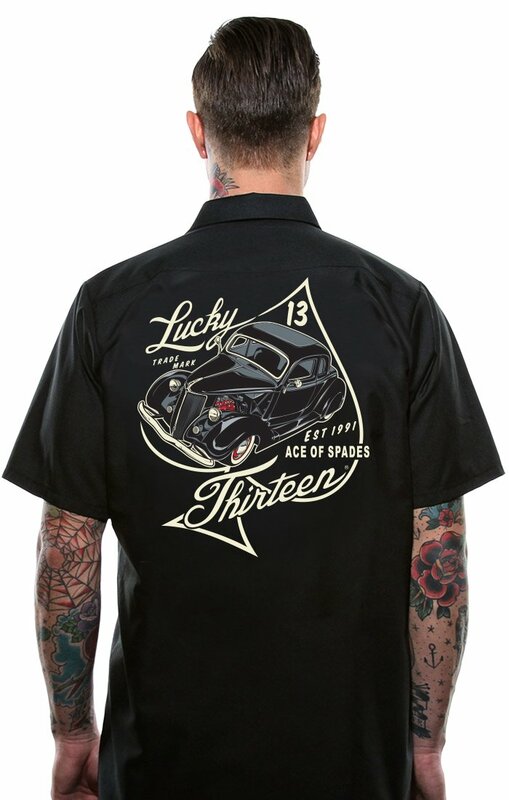 The back is printed with the Lucky 13 “Ace Of Spades” hot rod design. 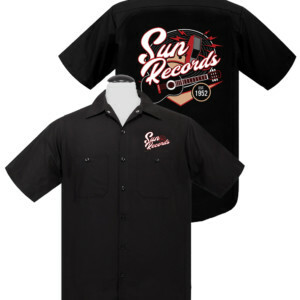 Rockabilly Clothing for Men Lucky 13 is an American hot rod clothing company proudly servicing pinup, rockabilly, psychobilly, rock n’ roll, and punk rock guys for over 15 years. 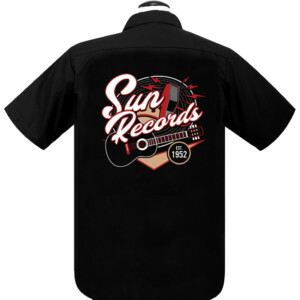 Our tattoo style art has inspired tattoos and tattoo flash alike – american hot rods, choppers, tattoos, pinups, rockabilly, psychobilly, rock n roll, kustom kulture Lucky13 forever! 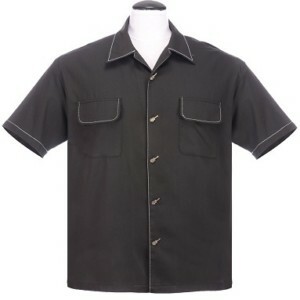 The ACE OF SPADES short sleeve work shirt is a cotton/poly-blend fabric with Touchtex technology, which has superior color retention, soil resistance, durable press, and wick-ability. 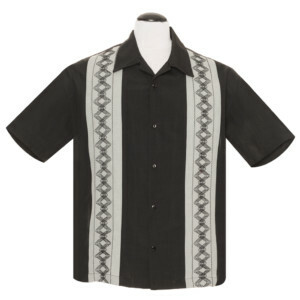 It has a two-piece lined collar with sewn-in stays, six button front with gripper at the neck. 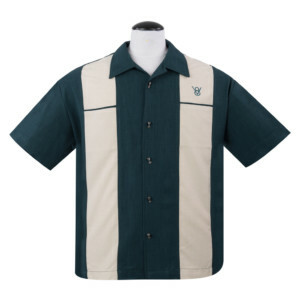 Two button-through, hex-style pockets with a “Lucky 13” embroidery above the left one. 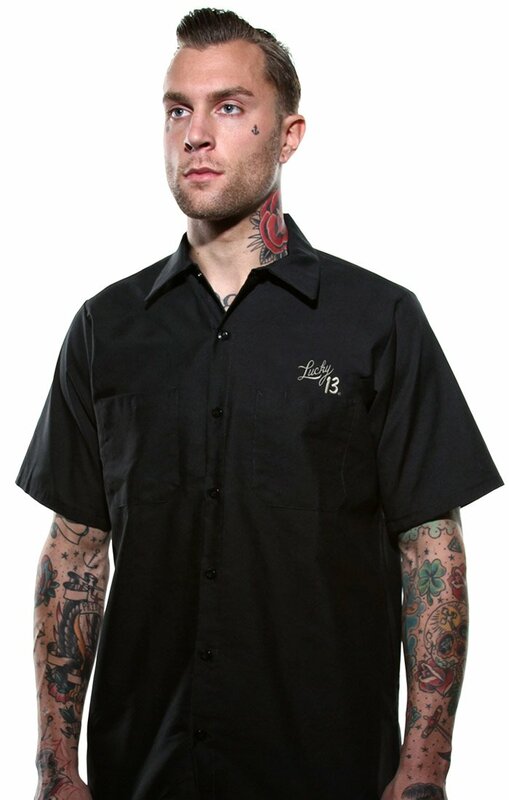 The back is printed with the Lucky 13 “Ace Of Spades” hot rod design.